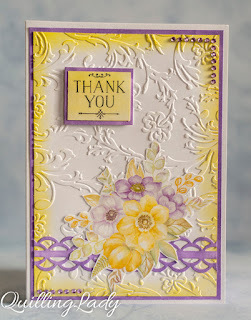 Hi all card lovers, today another card from my new collection. This time, purple and yellow are the main colours and I think they go really well together. What do you think?